Did you miss the Shadowhunters special, “Beyond the Shadows: The Making of Shadowhunters” last night on ABC Family? Well fret not because you can watch it via the lovely folks at Shadowhunters UK! 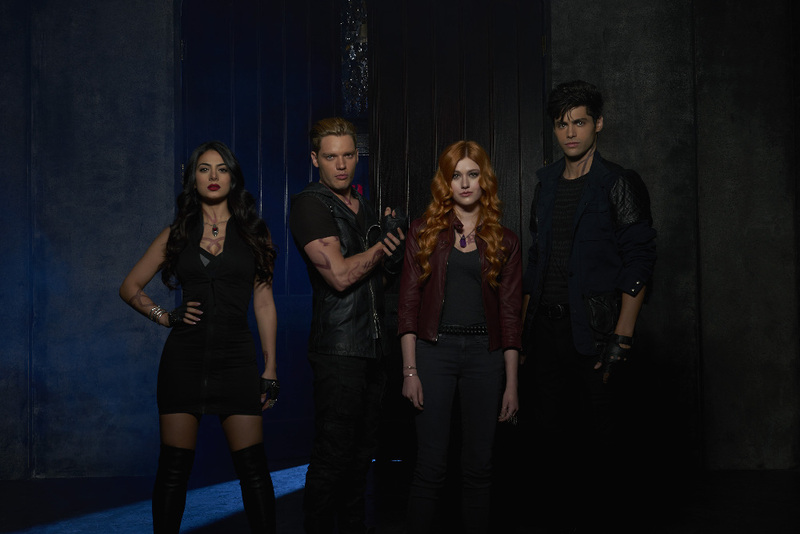 The special featured a sneak peek look inside the making of Shadowhunters, including interviews with the cast, crew, and Cassandra Clare, as well as a ton of new footage from the first season. What did you think of the special? Sound off in the comments! Shadowhunters premieres Tuesday, Jan. 12 at 9/8c on Freeform (ABC Family). Love, love, love, love, love this!!!!!!! He’s not. He lies about his age and CC confirmed that he was born in the 1600s. I just got tingles! So amazing! I literally cannot wait for this show! I’m sick and seeing this made me feel better 🙂 I love the cast! I am so excited for the show and Beyond the Shadows really just got me ramped up for the show even more! So far there’s no news that it will be… even if here in Canada ABC FAMILY is ABC SPARK. I did tweet and sent a message to Maxim Roy WHO PLAYS JOCELY FRAY. She’s a very popular actress in Quebec and she said she would keep me posted ! COME ON ABC FAMILY & CASSANDRA CLARE : You have to find a way to broadcast it … we are your true fans ! It is NOT up to Cassie to decide where the show will be broadcast. She is not involved with the show. The only country that is definite right now is the State and it is likely that it will air in Germany since Constantin Film is a German company. If you have Hulu, it will be there the day after it airs. i am-i can’t- AHHHHHHH!!! AWESOME!!!!! LITERALLY SCREAMING RIGHT NOW!!!!! LOL-Along for the ride, with the bike, cool! did anyone else notice the pink sparkles when clary got portalled? i wonder why pink? at the end, Kat said something about making it good for everyone to watch, not just the fans… But know this: if you get it wrong, there are going to be so many people mad at you. My otp, my Malec is alive and kicking. Beautifully done, boys. Beautifully done. Primo! 🙂 They are going to include the demon powered motorcycles. That got lost in the film. The cast is more and more perfect. The entire crew is giving their all to this project.